The Visidec Focus VF-M Compact Screen Mount is designed specifically for areas where space is limited but flexibility is key. Its elegant design and polished aluminum finish add style and functionality to any workspace. 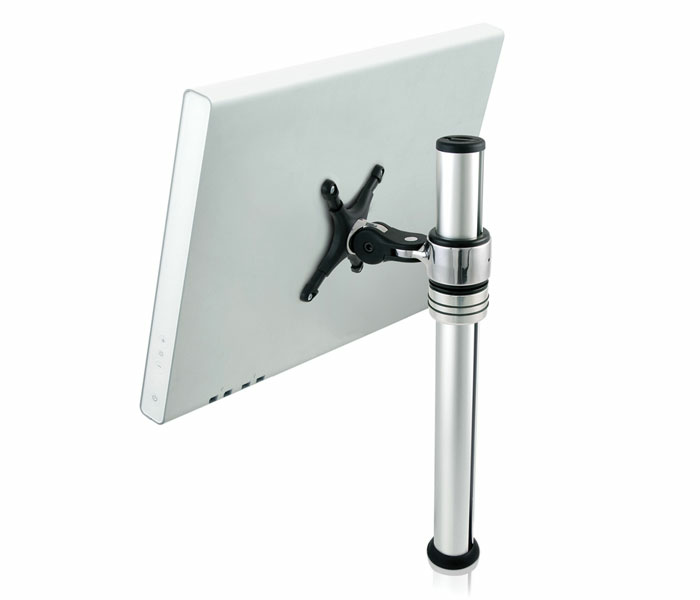 This compact mount allows 70° up and 70° down tilt, and pan of 140 degrees of your display. 360 degree rotation around the pole makes it easy sharing your screen with others. Bolt through and desk clamp mounting options are both included providing greater flexibility when choosing an optimal place for display position. Versatility extends to monitor choice, thanks to Visidec’s FlexiStar™ mechanism that allows two different mounting hole patterns: 75mm x 75mm and 100mm x 100mm. Cables are cleverly managed for a clean look and to reduce clutter.